Ambitions to transform Oban into a coastal university town – on a par with St Andrews – have been revealed. The ambitious initiative aims to bring even more students to the Argyll town – and project managers will be on board as soon as February to launch a strategy. 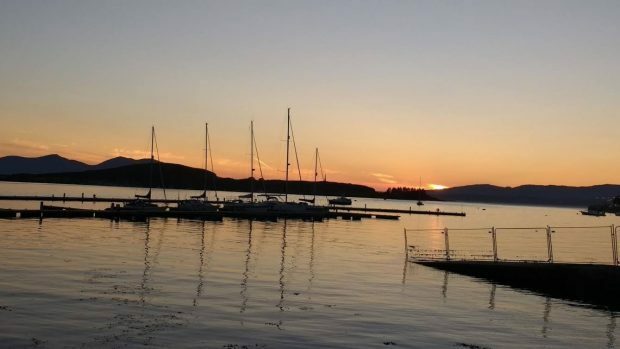 Oban is home to more than 800 students – a tenth of the population – from 19 different countries, who are studying at the Scottish Association for Marine Science (Sams), Ballet West, and Argyll College UHI. But Highlands and Islands Enterprise (HIE) wants to make the placename Oban synonymous with its educational institutions in the way the Fife town and others like Aberystwyth and Falmouth are – making it appealing to local school leavers and attracting new students equally. A steering group has already been formed to guide the plans, entitled Oban – a University Town (OaUT), and now the team is looking for someone to supply project management services for at least a year from February in a contract potentially worth almost £60,000. The project will focus on attracting and retaining students and providing an “outstanding experience” – and promise to contribute to the economic and population growth of the area, enhancing creativity and innovation, and encouraging local businesses. OaUT will review Oban’s transport and accommodation set-up and the town’s social and cultural scene and tailor courses to the economic priorities for Argyll and Bute, with degrees, vocational training and modern apprenticeships on offer. Jennifer Nicoll, area manager for HIE Argyll and the Islands, said they believe Oban is already wellonthe way to being a university town. She said: “We are trying to harness what we already have, which is a fantastic cluster of campuses, and build on it. Marri Malloy, chairwoman of Oban Community Council, said: “I think it is wonderful for Oban. When you think of the amount of students from all over the world we have here, we need to expand on this and have more courses and be even more international. Oban-based Councillor Roddy McCuish added: “Not only Oban, but the whole of Argyll and Bute would benefit greatly if Oban became a university town. It’s vitally important we have got the accommodation and infrastructre in place to attract all these studetns to come here.